Blog – Page 2 – Pasig Real Estate Board, Inc.
Access our articles about activity announcements and post-activity reports! 1. The Comprehensive Real Estate Seminar and Review (CRESAR) which started last January 17, 2011 was finished (60 credit units). 2. 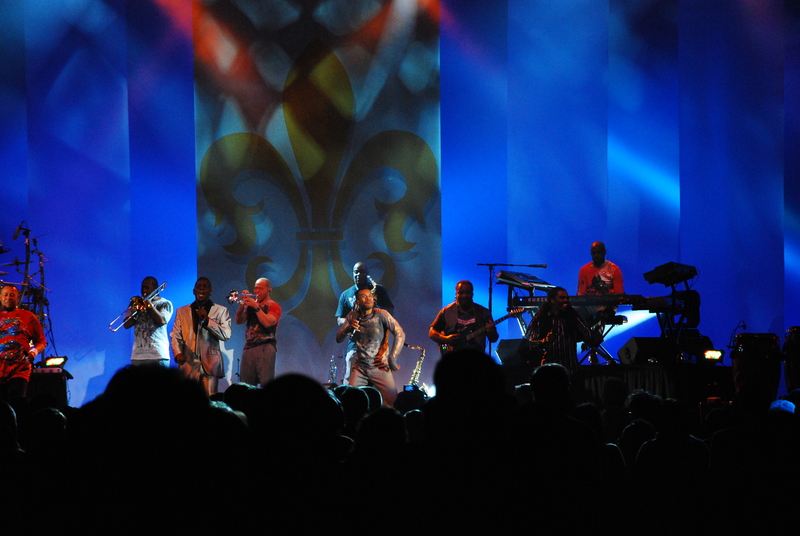 The PRB Blog Team started a mentoring program that introduced the members to blogging. Hopefully this sessions will continue until participants will be able to put up their own blogsite. To those who finished today’s activities congratulations! May you have a more fruitful year ahead. The General Membership Meeting will be today, January 27, Thursday at 4:30 pm. Venue is at Circulo Verde showroom, Ground Floor, Connecticut Carpark (behind Max’s Restaurant) Greenhills Shopping Center, San Juan. The newest project in San Juan, the Viridian at Greenhills. Click for more details. Several important issues will be discussed, such as the updates on the ongoing CRESAR series, PRC updates regarding real estate education and licensure, proposed committee projects for this year, and the launch of our very own web site, “the PRB blog site”. Learn how we can communicate and do business in the fastest and most efficient way, get announcements from the board of trustees, follow on feature articles, read news & updates, and get links to individual members’ own sites and see their listings. The site is envisioned to be a great tool for business, as well as the catalyst for web education and training for the members of our board. There will also be a presentation by Toto on the newest development in San Juan: the Viridian at Greenhills. The Pasig REALTORS Board is already on its 20th year this coming week, so join us in today’s meeting as we start the year’s celebration. 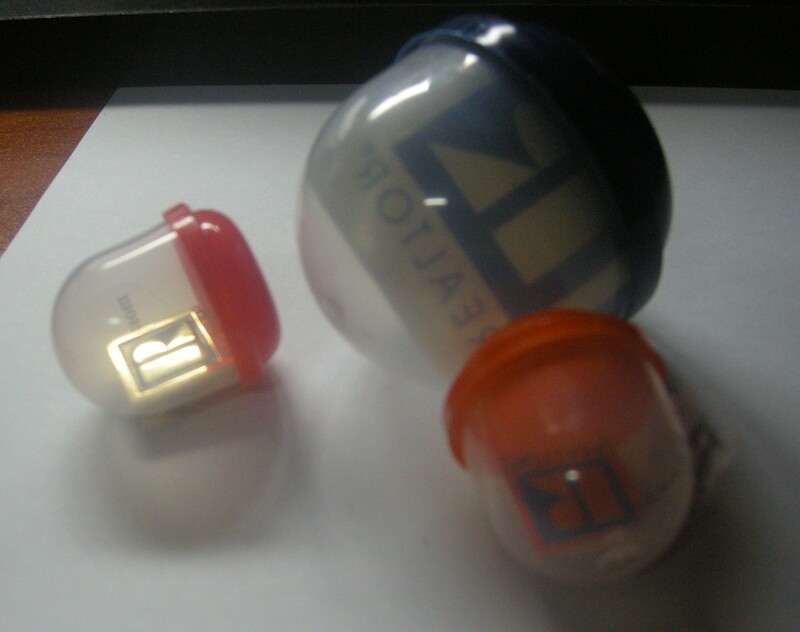 The first three to come will get these REALTOR pins and sticker. There was an opportunity to visit two friends in Austin, Texas last November 9 and 10 after the National Association of REALTORS Convention in New Orleans (see my previous blogpost for the New Orleans story). 1. Friendship trancends time and space; you become friends because you decide to become friends – Mauro is a friend from 1st grade who I haven’t seen for a long time. Over the years we’ve only heard about each other through other friends. Lately though, we had contacted one another through our batch’s egroup. It was from that communication that the plan to meet was hatched. 2. You don’t need to be friends for a long time to become friends for life – From the egroup, I learned about Rigel, who joined the batch when they were in High School. 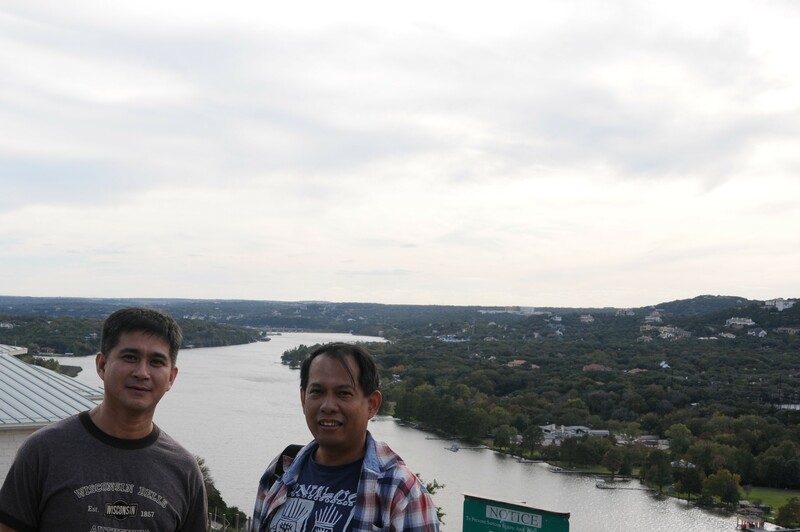 The visit in Texas was the first time we’ve met. However we found out that we have a lot in common: swimming, biking, ham radio, computers, table tennis, keeping fit, our faith, family, and our friends. 3. Time is valuable for friendship to blossom – We only had a short time but we spend a good deal of it in meaningful activities. We have deep conversation over pancakes and salad at IHOP. 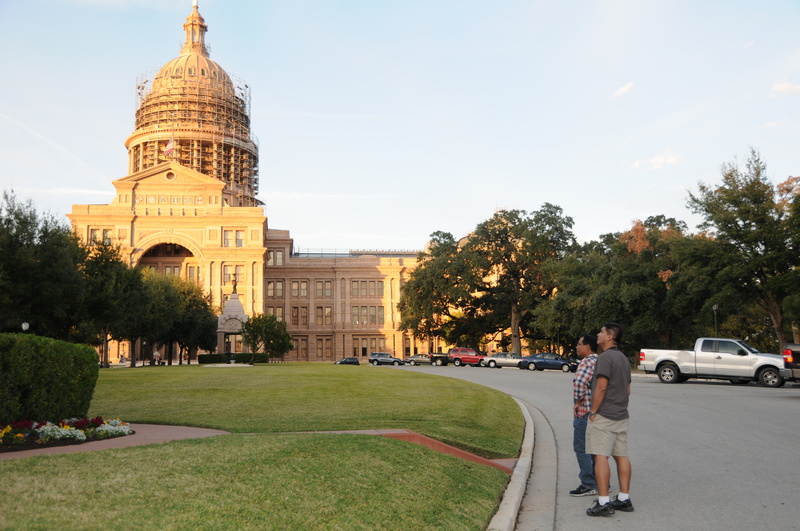 We had pictorials at the Texas Capitol building and elsewhere. Mauro recorded an interview and taught me how to make videos (he gave me a flip videocam). Rigel explained to me how to blog. How wonderful and amazing. 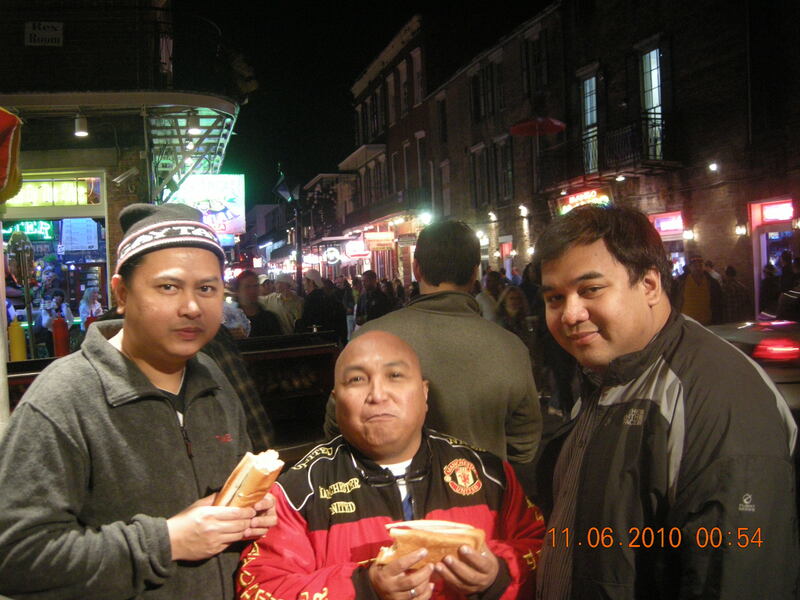 Indeed, there is nothing bigger than the friendship I have with Mauro and Rigel. After that visit, I have seen the truth to the saying: “everything is big in Texas”. To my dear friends, thank you. This is the Christmas Greeting Card sent by the Pasig REALTORS to their clients, friends, and loved-ones. The card is very interesting because of the holiday video attached to it. The three videos were made by REALTORS who won the National Association of REALTORS (NAR) 2010 Holiday Video Contest. Click here to see the winners. 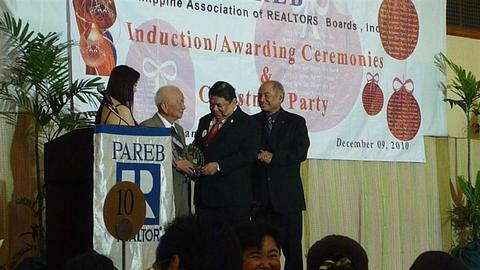 I was fortunate to hear PAREB history as narrated by Realtor Ernesto G. Castañeda during the PAREB Induction and Awarding Ceremonies last December 9, 2010. The event was held at the Manila Hotel as part of the Christmas Party celebrations of the Philippine Association of REALTORS® Boards, Inc. (PAREB). 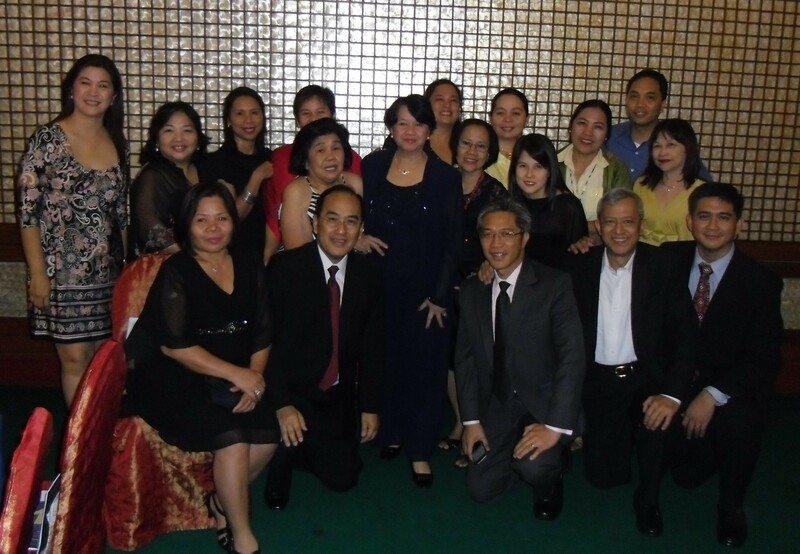 PAREB is the leading brokers association in the Philippines with more than 4,000 members. Mr. Castañeda is 96 years old and was the PAREB National President from 1968 to 1969. When he walked to the stage to induct the new set of national officers for 2011, most of us couldn’t believe that at his age he is as strong as any of the younger Realtors. He spoke clearly and has good eyesight as he was able to read the Oath of Office without glasses. His memory was still sharp; in fact he remembers well the story that led to the creation of PAREB 50 years ago. 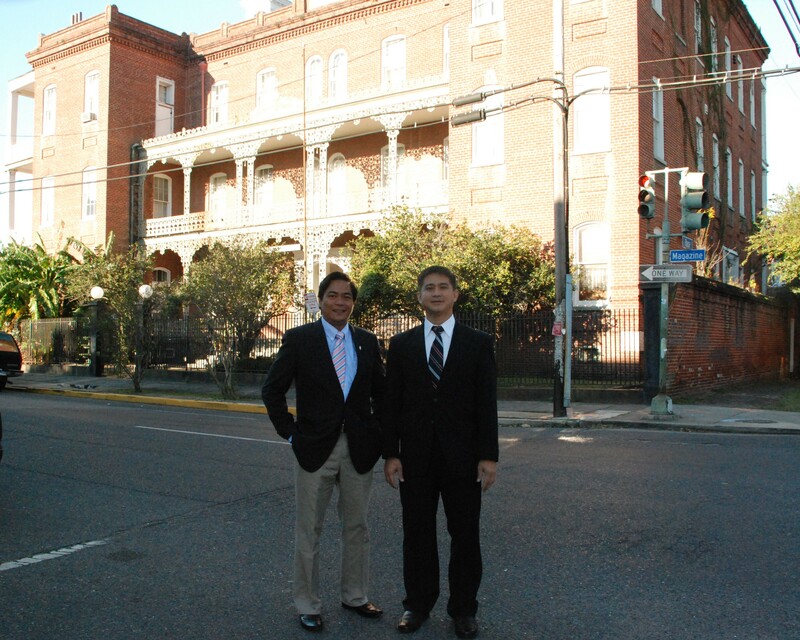 According to him, PAREB was created from a group of Manila-based real estate brokers with two American journalists. They planned to have the group accredited with the REALTORS® association in the United States. A special mention was made of ethics as a character of the new organization and its goal to set a high ethical standard in the real estate profession. As a practicing licensed broker (DTI Lic. No. 19164), I liked Mr. Castañeda giving importance to ethics because I believe ethical practice is one of the distinctive mark of a REALTOR®. My analogy to this is, if there are “high end” and “low end” products, a “special” or “regular” food; in real estate brokerage there is a REALTOR® who is distinct from an unlicensed practitioner. I must confess I was awed by Mr. Castañeda. For me he exemplifies the highly ethical and principled Realtor. It was his loving concern for the well being of others that made him share the secret on the ingredient of his long life. And do you now know what that secret is? Just listen to Realtor Raffy Salaveria’s video below. I won’t tell you myself. After all it is a secret.